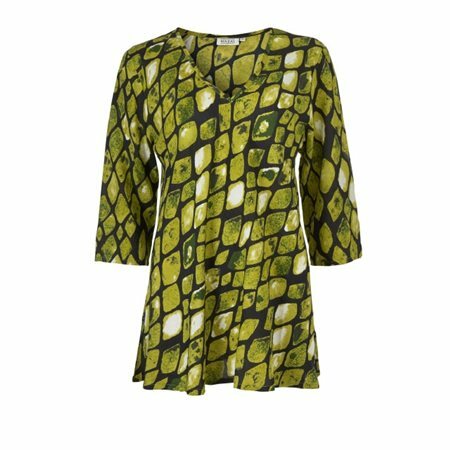 this stylish top in a slightly crinkled viscose has a graphic pattern in gorgeous lime-green tones. The top sits nicely against the body without being tight, as the fabric is cut on the bias. Otherwise the design is completely simple with three-quarter length sleeves and a lovely V-neckline.